I upgraded my Debian server to Jessie yesterday, due to I didn’t update all the configs, I found some errors, and got to fix them. The apache2 configtest failed. … (warning). So just add symbol + for the options without prefix symbol and it works again. 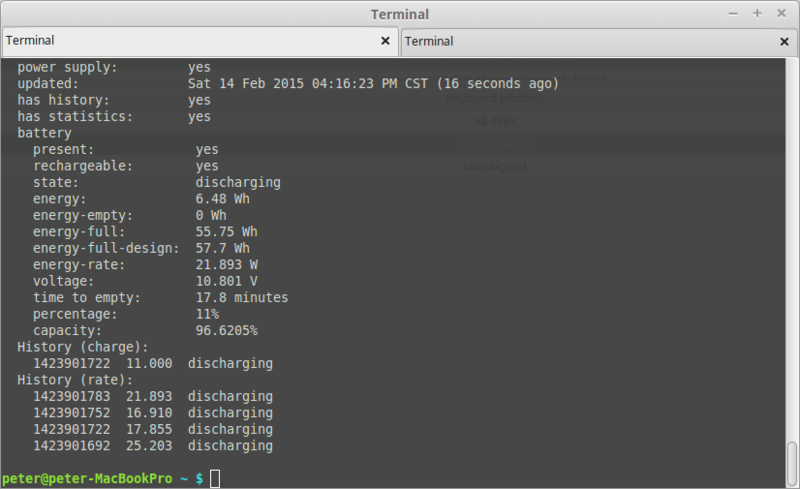 How to check battery status in cli under Debian/Ubuntu based Linux?